McALLEN — A decision on whether to grant a motion for a trial venue change to McAllen in the bribery case of a former state district judge could be reached in October, court records show. The court on Tuesday set Oct. 19 to hear further arguments related to former state District Judge Rodolfo “Rudy” Delgado’s request to have his trial held in McAllen, and not in Houston, as is currently scheduled. He was arrested in early February and indicted the following month. The former judge’s attorney, San Antonio-based Michael W. McCrum, filed a motion for a venue change in his bribery trial, scheduled for February 2019, in early August. The court setting comes nearly a week after McCrum replied to the government’s response to the aforementioned motion. In the Sept. 5 response, McCrum characterizes the government’s assertions in their response as “fallacies,” and addresses them one by one. 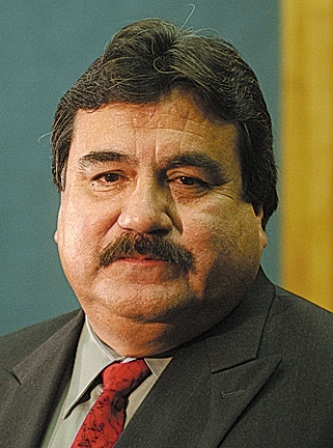 The government argued that Delgado’s high-profile would make selecting a jury almost impossible in the McAllen division. But McCrum argues the high-profile status of defendants in previous trials didn’t seem to concern the government before. McCrum states his travel to visit his sons did not lead to incurring hotel expenses, something a prolonged trial may result in. In addition, McCrum argues that the government’s contention that media coverage on Delgado’s case locally has tainted potential jurors. “Its argument relative to media coverage is pure conjecture, and belies the fact that numerous other high-profile cases have been filed and handled in the McAllen division and numerous other “border” divisions in Texas. Moreover, the government’s actions in previous high-profile cases undercuts its position in the instant case — it chose numerous times to seek prosecution in the same division that a high-profile public figure was serving,” the response states. For these reasons, McCrum states “defendant requests that the court transfer the situs of trial in the instant case to the McAllen Division,” the complaint states. It is unknown how long it would take for the court to rule on the venue change motion after the Oct. 19 hearing.